Dean Avis Hinkson has announced that Barnard will not pursue legal action against the student who was arrested in Hewitt Dining Hall on Tuesday evening. A student with epilepsy was arrested by NYPD officers on Tuesday afternoon after he had a seizure and entered Barnard’s Hewitt Dining Hall during non-operating hours. NYPD was called after the student did not respond to requests to leave from dining hall staff and Barnard Public Safety. 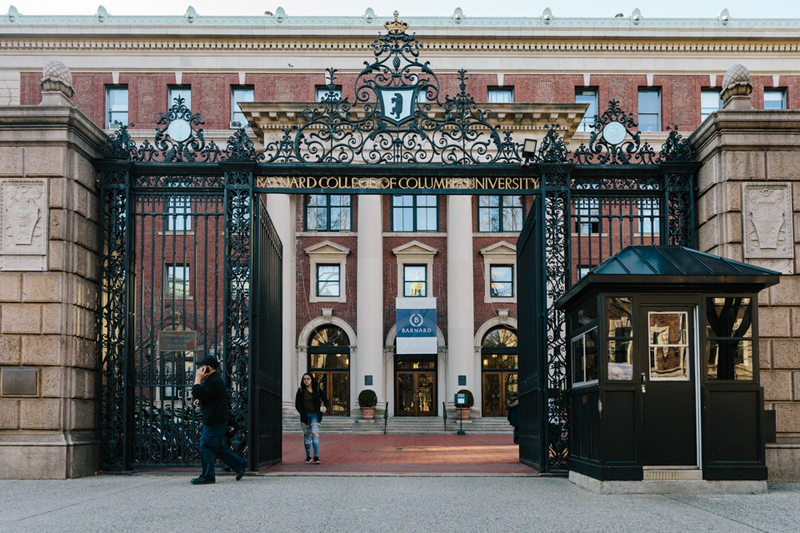 According to a statement released by Barnard on Wednesday, Shlomo Fingerer, GS ’20, exhibited threatening behavior which led Public Safety officers to call the police. However, after the arrest had been made, they learned that his actions had been the result of an epileptic seizure causing him to experience a blackout. Fingerer said he regained consciousness inside the police precinct after being arrested with no memory of the arrest. On Wednesday night, Dean of the College Avis Hinkson emailed the Barnard community to inform them that the college is not pursuing legal action against Fingerer and is working with Columbia to ensure his well-being. “The student is not banned from the Barnard College campus nor restricted from Hewitt Dining Hall. To be clear, the College will never take legal action or ban a student from our facilities solely because of a medical condition,” Hinkson said in the email. But Fingerer expressed fear that his education would be threatened as a result of the arrest, and noted that charges pressed against him by Hewitt’s executive chef Frank Pugliano, an Aramark employee, had not yet been dropped. Fingerer said that he was holding a fork in his hand while in Hewitt, but said that he was not in a position to have harmed anyone. Hinkson, in her email, said that the college is working with Aramark to have Pugliano’s charge against Fingerer dropped. Despite the college’s later statement, Fingerer said that he has experienced severe distress as a result of Public Safety’s decision to call NYPD. In a statement posted on Facebook, Fingerer said that he was concerned that his housing in the Bayit would be jeopardized following his arrest and said some residents have voiced discomfort about living in the same building as him. In response to an inquiry regarding Fingerer’s housing situation a University spokesperson affirmed Columbia’s commitment to sensitivity toward students’ particular circumstances, including medical conditions or disabilities. Columbia has not taken action to remove Fingerer from the Bayit, but the residence is partially managed by a group outside the University. Sarah Rabb, BC ’21, said that she saw NYPD arrest Fingerer and that she did not find him to be an intimidating or “scary” presence. Fingerer said in his statement that his seizures cause him to become unconscious and sleepwalk, and that both Barnard Public Safety and Hewitt’s dining staff were aware of his condition because he has had seizures at Barnard before. Fingerer also noted that although seizures are rarely fatal, he is concerned that after this incident he might be arrested rather than treated the next time he has a seizure, which could lead to further complications. Finger said he experiences seizures on a weekly basis. “How am I supposed to not worry that next time I have a seizure, Columbia won’t have me die in central booking?” he wrote.